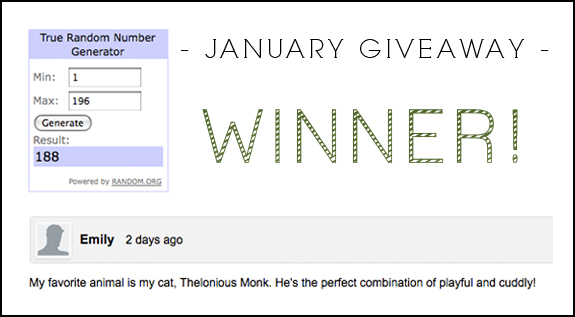 bryn alexandra: The January Giveaway Winner! Please email me your address to brynalexandra at gmail dot com. Thank you!